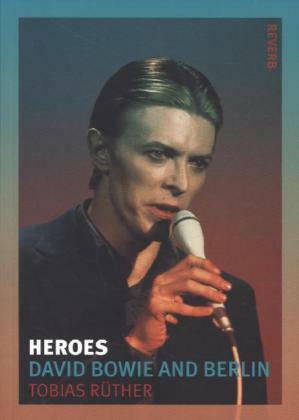 Heroes is the fascinating story of David Bowies years in Berlin, where he worked in the late 1970s on his Berlin Triptych - the albums Low, Heroes, and Lodger - which are among the most critically acclaimed and innovative albums of the late twentieth century. Devastated by drug addiction and tortured by delusions, persecution mania and visions of the Nazis, Berlin, the capital of Bowies childhood dreams, was where he slowly repaired his body and mind.Tobias Rüther describes Bowies friendships and collaborations with Iggy Pop, Brian Eno and Tony Visconti, and paints a vivid picture of his life in the citys Schöneberg area. Here Bowie started to paint again, and would cycle to the Die Brücke museum as well as explore the nightlife of the city - its wild side and gay scene. He also met Romy Haag and came to know the Hansa Studios. A stone's throw from the Berlin Wall, Bowie recorded the two most groundbreaking albums of his life: Low and Heroes. He even landed the part of a Prussian aristocrat in Just a Gigolo, starring alongside Marlene Dietrich, while remaining in the vanguard of Punk.Rüther also offers us a portrait of a divided city at a turning point: as Bowie explored the cultural and historical undercurrents of the past, West Berlin began to redefine itself as a cultural metropolis, establishing its new role in Germany and the world. Neutralized politically due to the Cold War, Berlin turned to the arts to start its history anew. Heroes is the story of an artist and a city - the story of the music of the future arising from the spirit of the past.